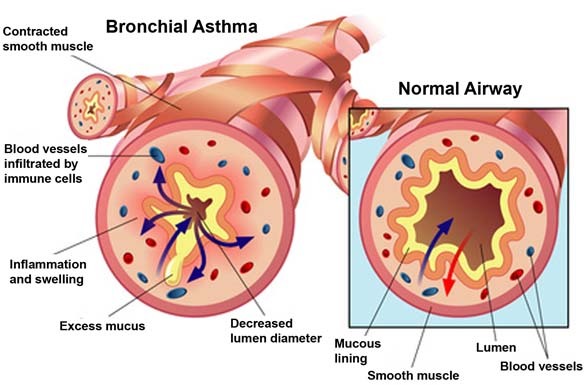 Asthma is a CHRONIC INFLAMMATORY condition, typically of the upper airways. It tightens the muscles in the wall of the bronchial tube and produces mucus, which narrows the airway reducing air flow to the lungs. As such, a severe asthma attack can be fatal by diminishing the oxygen supply to vital organs.